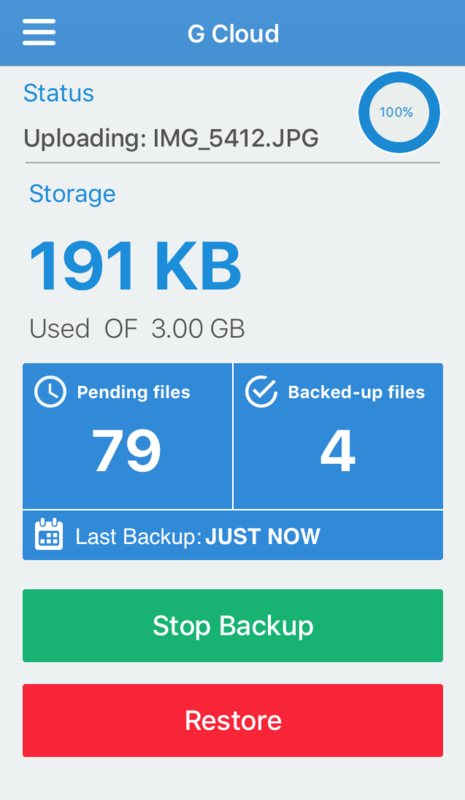 /Restore /Can I restore files from a different device that is on the same account? Open your G Cloud app. Tap on the name of the device you wish to restore from. 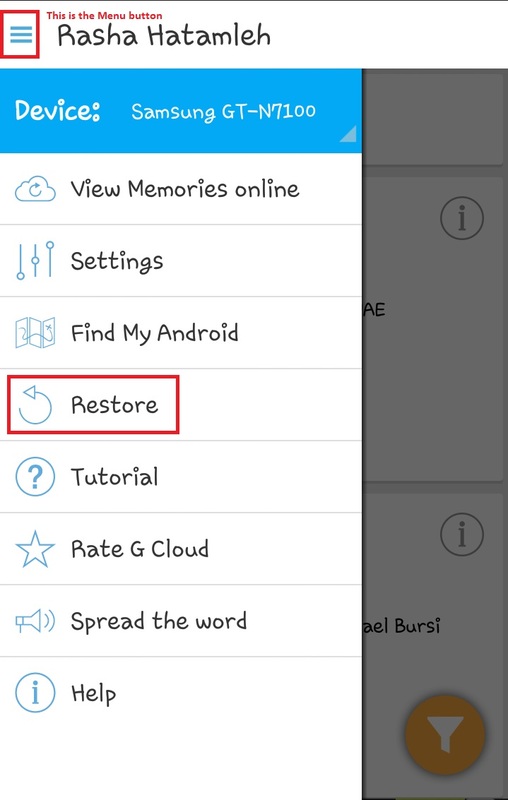 Select what to restore and tap the Restore button. 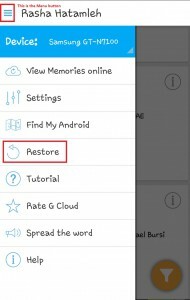 You can press the Home button and G Cloud will resume restoring in the background. Tap on the device you wish to restore from; your other device. Select the data you want to restore.